The "Halloween Spirit" is slightly lacking in our household this year. I got the usual decorations put up this year, but we've both been sick. Mostly Bill, for a couple weeks now... and it even enjoyed a lovely trip to the emergency room (for Bill and only because urgent care was closed). 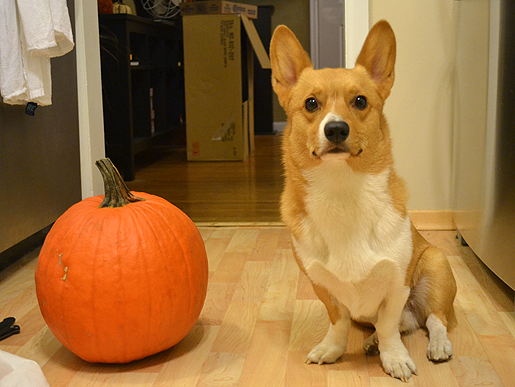 We finally bought pumpkins on Saturday. We're never really good at buying them ahead of time, so this was normal. There was possibly some specials going on...? We got two big pumpkins, a small one, some funky gourds and MUMS! I love mums and every year I want to get some but have a hard time justifying the purchase, but they were half off. Nice. 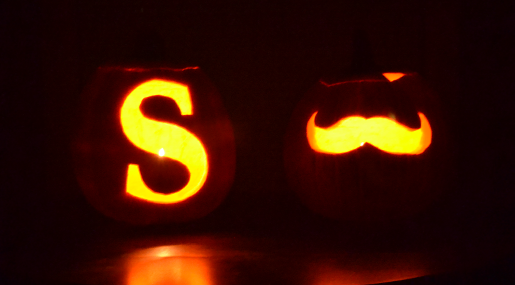 Last night we carved pumpkins. Just in time for trick or treaters tonight. 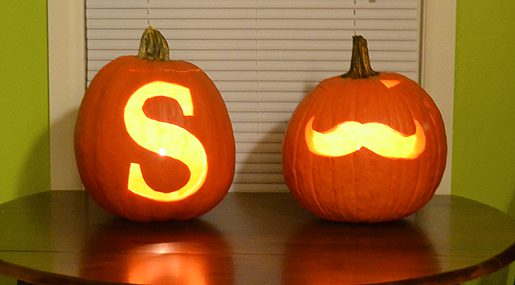 I decided to keep it simple and just do an "S." Bill decided on a mustache... I'm not 100% sure why, but I think because it was simple. He some other good ideas, but they were complex and transferring them into pumpkin compatible mode would have been work. Remember, he's the super sick one right now. 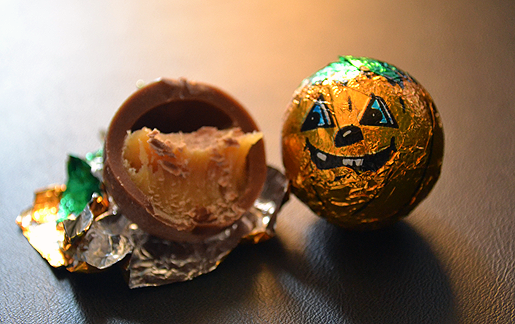 On a sad note, I will now have to wait until next year for my favorite Halloween candy. My grandma used to always give these to us when we were kids... They're just simple chocolates with caramel in the middle from Rainbow Foods. I've never seen them anywhere else... but I love them. A lot. And that full one pictured below is my last one... So, unless I go grab some today (unlikely) I will be anxiously awaiting next Halloween to get another bag of them. Well, I need to go finish getting ready for the kiddos.... Happy Halloween y'all!